Most people realise that proper tyre pressure plays an important role when it comes to tyre grip and safety. Common sense says that larger tyres and higher inflation pressures translate to increased load capacity. This is the reason that most of the car manufacturers recommend slightly higher tyre pressure levels when the vehicle is under full load. An under-inflated tyre will result in tyre contact patch to take a slightly concave shape. In this case, the shoulder of the tyre wears faster than the centre part. For maximum grip levels, a tyre needs proper tyre pressure so that the force is evenly distributed and the footprint of the tyre is even all across. Now, our main concern with low tyre pressure is that the shoulder wears off faster than the center portion of the tread. But, there is a bigger issue at hand with the low tyre pressure i.e the wet performance of tyre. The most important function of tread on the tyre is to make it well in wet conditions and prevent hydroplaning by displacing water away from the tyre’s contact patch. It takes more energy to displace water compared as compared to air. Therefore, we don’t give much thought if the tyres can cut through the air. 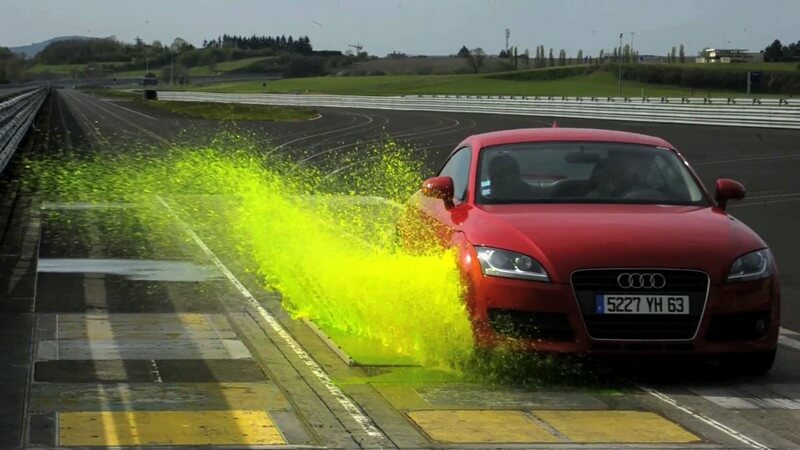 However, when you replace air with water, a whole lot of complications are added and finding ways to tackle hydroplaning becomes the greatest challenge. Proper tyre pressure ensures even footprint that can push through the water more effectively. You must be wondering how the engineers design and test the tyre treads? Almost every tyre R&D center tests the water displacing capabilities of a tyre using a glass plate covered with specific depth of water. The water is usually dyed to be more visible. The tyre is made to roll over this glass plate filled with water. 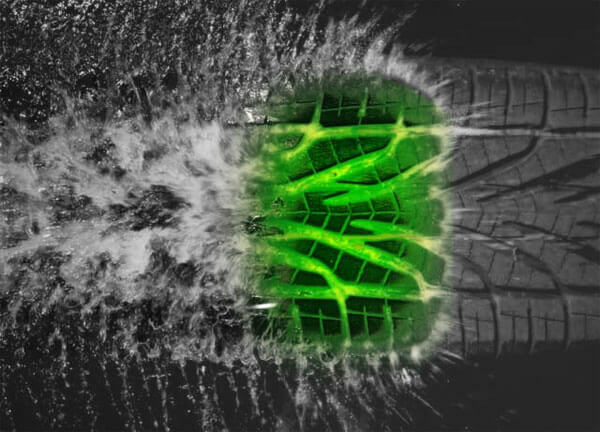 As the tyre rolls, it displaces water with the help of the tread pattern and all the details are captured using high speed cameras kept under the glass.